Recorded Live at Yokohama Arena , Kanagawa, Yokohama , Japan - December 13, 1990. Files: 27.:: Size: 325.37 MB (mp3)| 1005.62 MB (flac). Personnel: Eric Clapton (guitar/vocals), Nathan East (bass), Greg Phillinganes (keyboards), Alan Clark (keyboards), Steve Ferrone (drums), Phil Palmer (guitar), Ray Cooper (percussion), Katie Kissoon (vocals), and Tessa Niles (vocals). 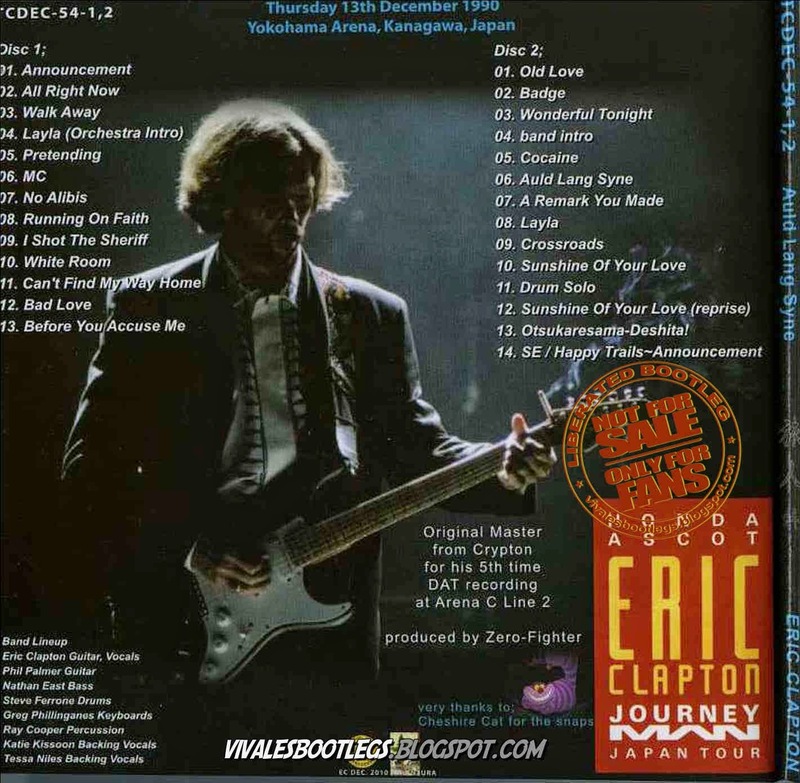 Notes: Eric Clapton’s Journeyman tour in 1990, when he returned to playing the blues and to being a guitar hero, ended with seven days of pleasure in Japan. And the tour of Japan ended on December 13th in Yokohama in Kanagawa. 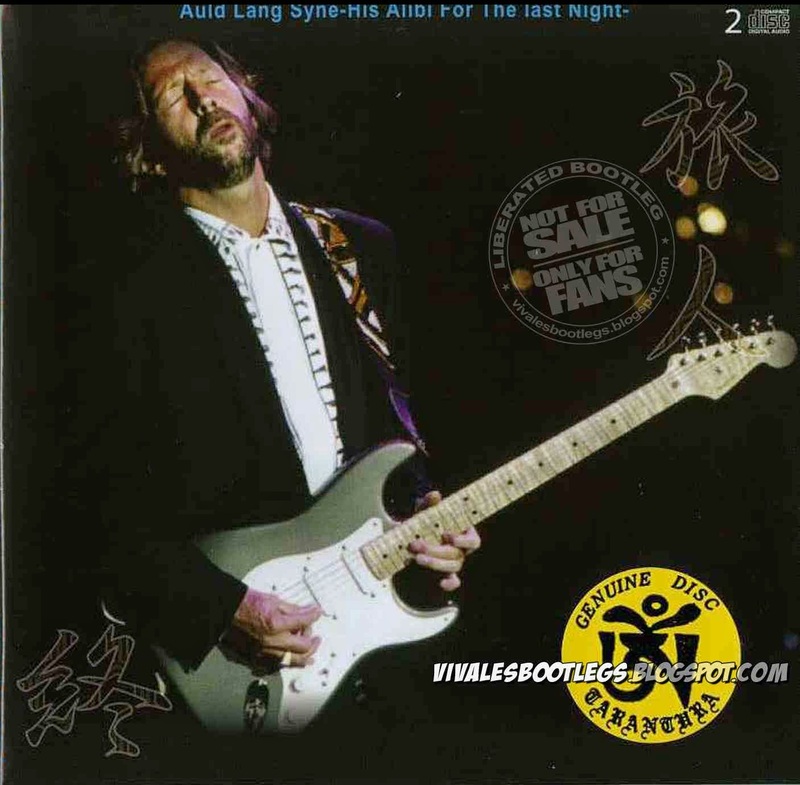 Auld Lang Syne – His Alibi For The Last Night is another Tarantura release in the Clapton “Alibi” series. Utilizing previously uncirculated, excellent quality Krypton recordings, these rival some of the best Clapton audience recordings. Yokohama has had prior silver pressings including Journey’s End (Tricone 001/002) and discs seven and eight of Seven Nights of Pleasure (Mid Valley 406-413) (along with a DVD with amateur footage of this show in very poor quality). Auld Lang Syne is an excellent stereo DAT recording. Like other Crypton tapes, he wants to capture the whole concert-going experience by taping event before and after the actual show. Other tapes capture him at the train station, but this tape begins with the opening buzzer, some of the pre-concert music, and the post-show shuffle to the exits. (info taken from collectorsmusicreviews.com).